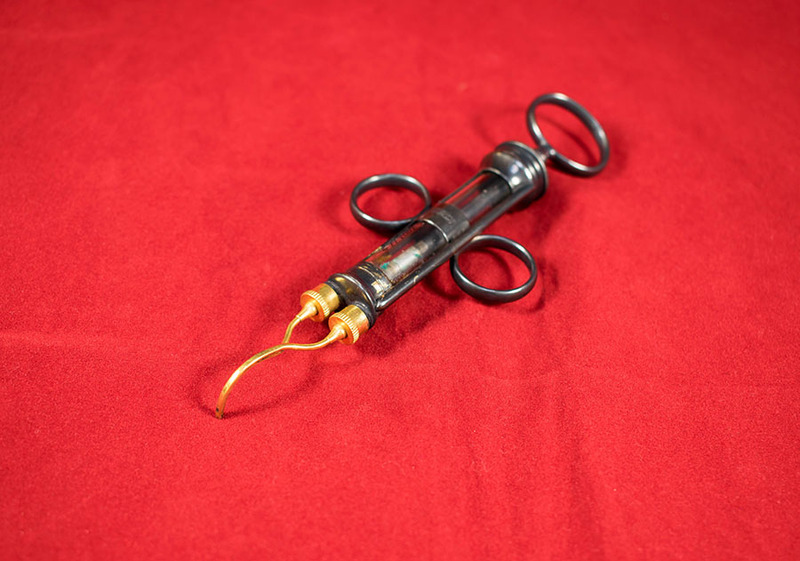 Lachrymal irrigation syringe, glass, gold and metal, c 1875-c 1900. 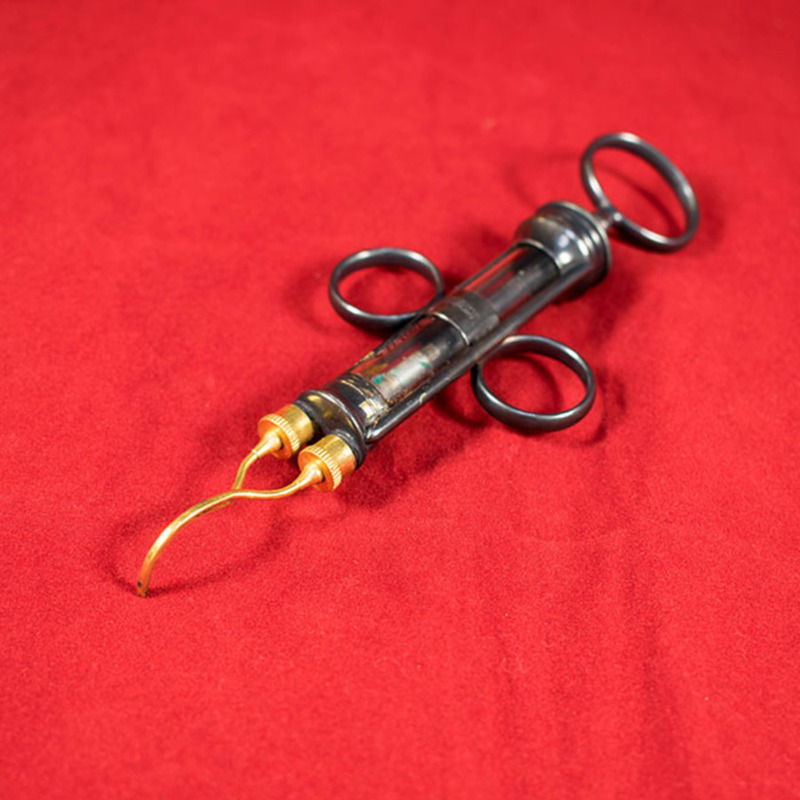 This syringe would have been used to wash out the lacrimal system of the eye. 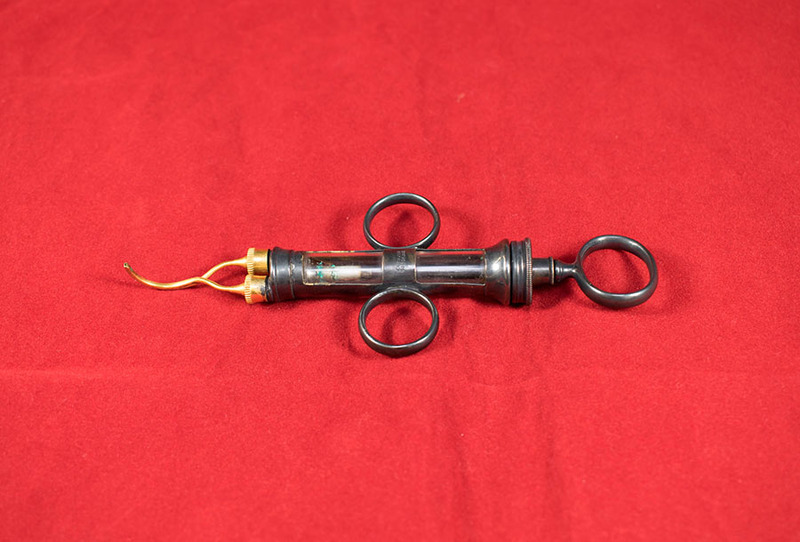 Creuzan, Bordeaux. 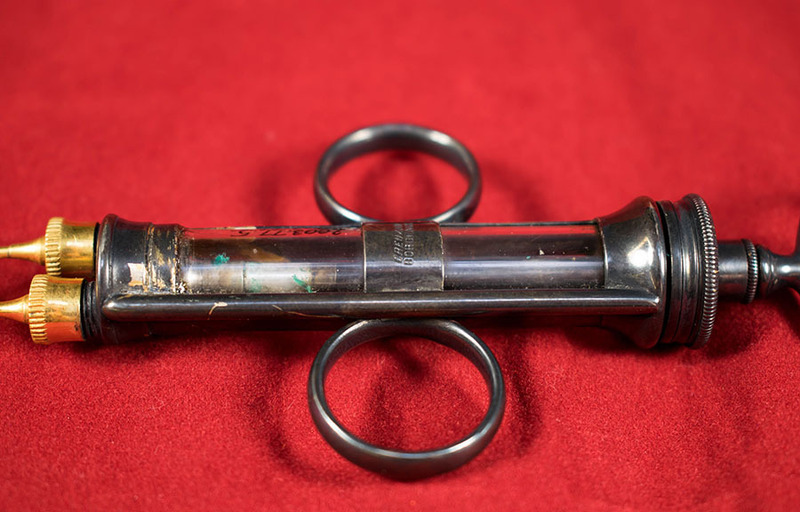 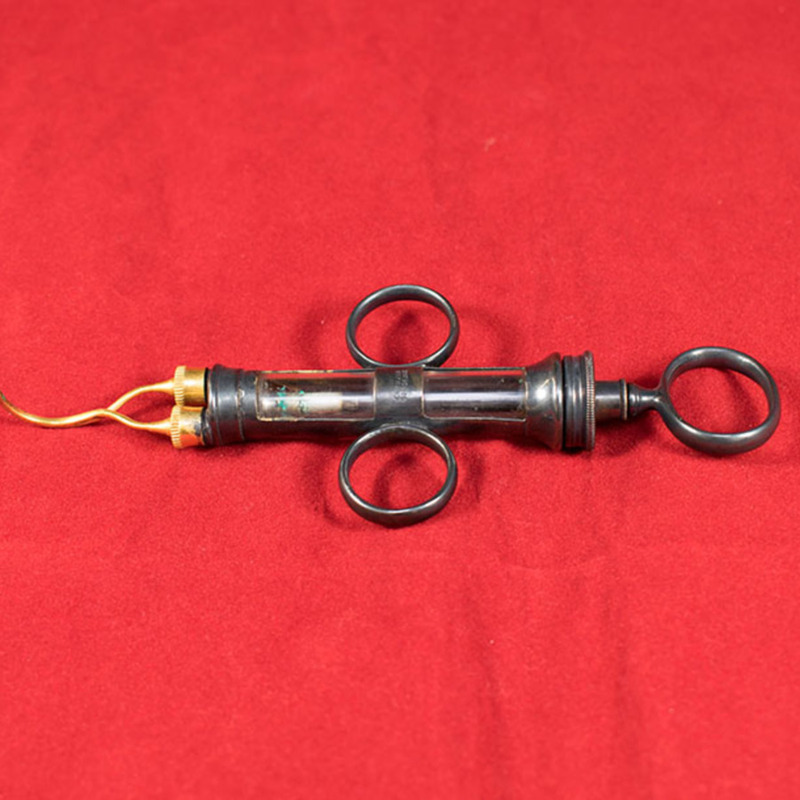 , “Lacrimal Irrigation Syringe,” Heritage, accessed April 24, 2019, https://heritage.rcpsg.ac.uk/items/show/150. Description: Lachrymal irrigation syringe, glass, gold and metal, c 1875-c 1900. 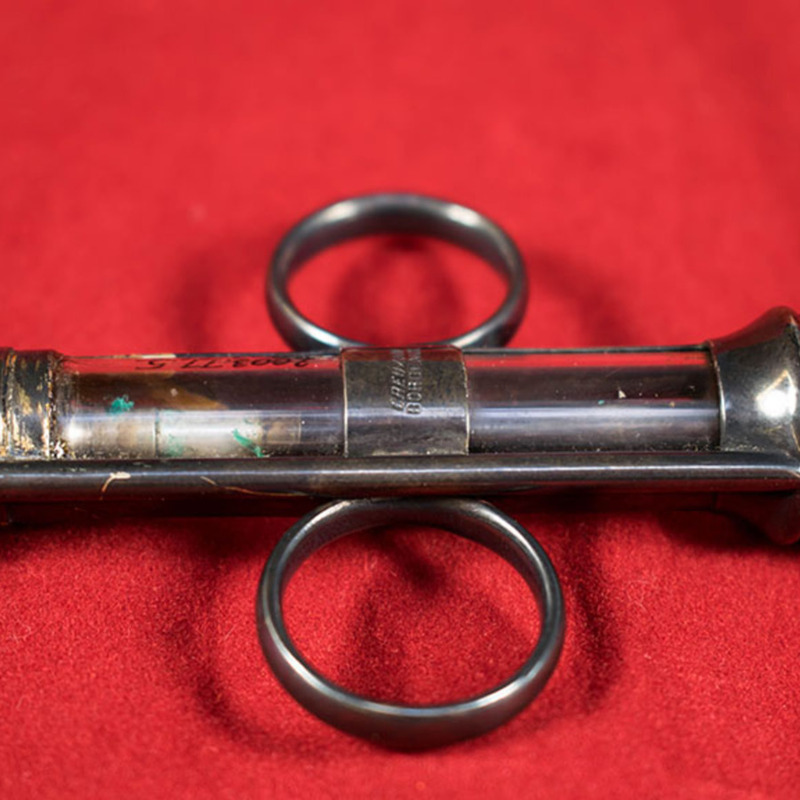 This syringe would have been used to wash out the lacrimal system of the eye.